How to Limit WiFi users bandwidth connected to modem or router? If you have Internet or wifi network in your home or office then this trick is very useful for you because by using this facility or trick on you can control internet bandwidth limit from your router or modem. But It is totally depends on the type of router you are using in your home or office. Most of the modems and routers have bandwidth control function but, they will allow controlling the speed of all connected devices at once. Here is complete and best procedure to limit internet downloading and uploading speed to WiFi users bandwidth connected to Digisol, D-Link, iBall, Tenda and TP-link modem or routers. 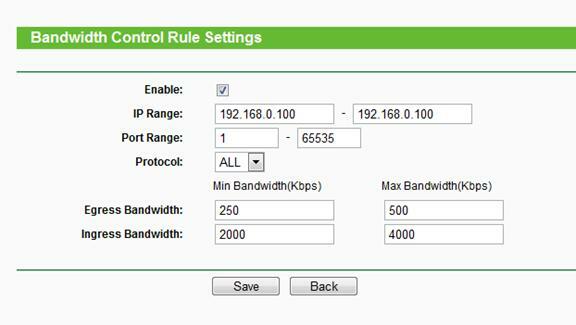 First Login to your router or modem by using routers gateway address; usually most of modems have "192.168.0.1" or "192.168.1.1"
Login to your router >> Check for Bandwidth Control Option in your router options >> Enable and set bandwidth. Assigning different bandwidth to different devices is not possible directly. So, there is a hack to do so. IP Range -Single IP address or IP address Range. When you configure the single IP address, the computer with this IP address will get independent given bandwidth. When you configure the IP address range, all computers in the range will share the given bandwidth. Port Range-The port arrange of TCP protocol or UDP protocol. Protocol-You can choose the TCP protocol or UDP protocol or both of them. Please share this information on Facebook and Twitter to your Friends. If you have any feedback then please provide by comment section.